January is a good time to record the due dates for important business taxes in the coming year. We list below important due dates for Virginia, Maryland, and the District of Columbia. If you need additional information, we also provide links to the tax departments of each entity. For more information on Virginia business taxes, visit this link. If your average tax liability is less than $100 per month, the Virginia Department of Taxation will assign you a quarterly filing status. Quarterly filers must file returns and make payments by the last day of the month following the close of each quarter, as shown below. You can file your Virginia Department of Taxation returns by using the agency’s free online service to submit its Form VA-5. If your average tax liability is more than $100, but less than $1,000 per month, the Virginia Department of Taxation will assign you a monthly filing status. Monthly files can also file returns by submitting Form VA-5 through the agency’s online system. The VA-5 is due on the 25th of each month (for example, the return for January is due February 25). Monthly filers must also file Form VA-6, Employer’s Annual Summary of Virginia Income Tax Withheld. The VA-6 is due to Virginia Department of Taxation by Jan. 31 of the following calendar year, or within 30 days after the last payment of wages by your company. When you file Form VA-6, you must submit each federal Form W-2, W-2G, 1099, or 1099-R that shows Virginia income tax withheld. You must submit Form VA-6 and all W-2 and 1099 forms electronically. If your average tax liability is more than $1,000 per month, the Virginia Department of Taxation assigns you a semi-weekly filing status. Your payments will be due within three banking days if the amount of Virginia income tax withheld exceeds $500 on any federal cutoff date for semi-weekly withholding. Federal cutoff dates are generally on Tuesday and Friday of each week, as shown in the table below. You must submit your payments electronically. Certain employers may request a waiver from the Virginia semi-weekly filing requirement. To request this waiver, the employer must have no more than five employees subject to Virginia income tax withholding. See Tax Bulletin 15-3 for more information. Semi-weekly filers must also file Form VA-6, Employer’s Annual Summary of Virginia Income Tax Withheld. The VA-6 is due to Virginia Tax by Jan. 31 of the following calendar year, or within 30 days after the last payment of wages by your company. When you file Form VA-6, you must submit each federal Form W-2, W-2G, 1099, or 1099-R that shows Virginia income tax withheld. You must submit Form VA-6 and all W-2 and 1099 forms electronically. All filers must file Form VA-6, Employer’s Annual Summary of Virginia Income Tax Withheld or Form VA-6H, Household Employer’s Annual Summary of Virginia Income Tax Withheld. 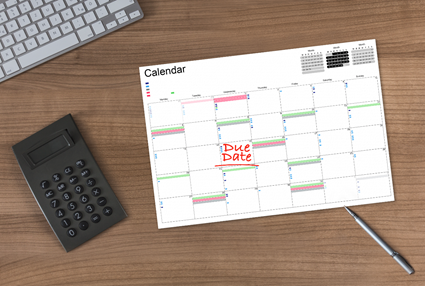 The VA-6 and VA-6H are due to Virginia Tax by Jan. 31 of the following calendar year, or within 30 days after the final payment of wages by your company. You may file your VA-6 or VA-6H using one of our online services. When you file Form VA-6, you must submit each federal Form W-2, W-2G, 1099, or 1099-R that shows Virginia income tax withheld. You must submit these forms electronically. Corporations are required to file and pay all annual income tax returns, estimated payments, and extension payments electronically. You must file your sales taxes online with the Virginia Department of Taxation on the 20th of the month following the assigned filing period. For your convenience, we list in the chart below, the due dates for Virginia sales tax by filing frequency. Due dates falling on a weekend or holiday are adjusted and noted in the table below by with an asterisk (*). Every pass-through entity* (PTE) that does business in Virginia or receives income from Virginia sources must file an income tax return on Form 502. *The term “pass-through entity” includes S corporations, general partnerships, limited partnerships, limited liability partnerships (LLPs), limited liability companies (LLCs), electing large partnerships, and business trusts. A pass-through entity is any entity other than an individual estate or trust that is recognized as a separate entity for federal income tax purposes and the owners of which report their distributive or pro rata shares of the entity’s income, gains, losses, deductions, and credits on their own returns. For purposes of the filing requirement, the definition of “pass-through entity” does not include single-member limited liabilities or investment pass-through entities. For further information, review Tax Bulletin 05-6. Each entity must file its PTE income tax returns by the 15th day of the 4th month following the close of the entity’s taxable year. So, for calendar-year filers, that means April 15. For more information, visit the Maryland Department of Taxation website. The due dates for income tax withholding reports vary for employers filing monthly, quarterly, accelerated and annual reports. If the due date falls on a Saturday, Sunday or state holiday, the report is due on the next business day. Monthly income tax withholding reports are due on the 15th day of the month following the month in which the employer withheld Maryland income tax. If you are required to file monthly withholding reports, you must continue to file reports until you give written notice to the Comptroller of Maryland, indicating that you no longer have employees or are no longer liable to file the return. Quarterly income tax withholding returns are due on the 15th day of the month that follows a calendar quarter in which the employer withheld Maryland income tax. If you are required to file quarterly, you must continue to file reports until you give written notice to the Comptroller of Maryland, indicating that you no longer have employees or are no longer liable to file the return. Employers filing accelerated withholding reports must file within three business days following the payroll (pay date). The accelerated filing category applies to employers who withheld $15,000 or more for the preceding calendar year and currently have accumulated in any pay period $700 or more in withholding tax. Employers filing annual reports must file on or before January 31 in the year that follows the year in which the employer withheld income tax. If you do not owe tax, you are still required to file a return. In this case, you can file a zero report electronically by using the State of Maryland’s bFile service, or over the telephone by calling 410-260-7225. If a corporation needs to pay Maryland corporate tax, it must file an estimated quarterly tax return by the 15th day of the month as indicated below for the appropriate quarterly filing period. If a due date falls on a Saturday or Sunday or holiday, the report is due on the next business day. The chart below lists tax due dates for 2019. In the chart below, we indicate an adjusted due date (*) for a filing date on a weekend or holiday. If you have no taxable sales to report and owe no tax, you are still required to file a return. In this case, you should use telefile by calling (410) 260-7225. If any due date falls on a Saturday, Sunday or legal holiday, the employer/payer must file the statements by the next business day.